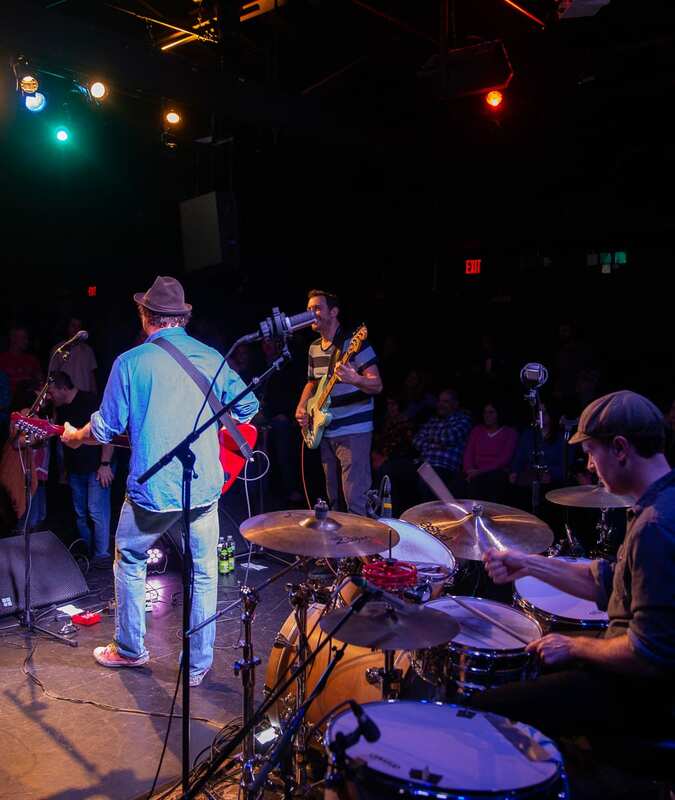 Tea Leaf Green recently celebrated 20 years as a band and was greeted with an exceptionally warm Northeast welcome. 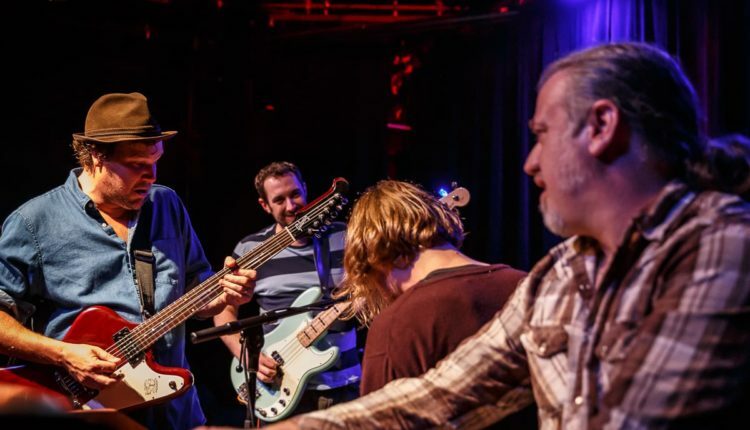 This run was special because the San Francisco-based jam quartet hasn’t visited the area in two years. 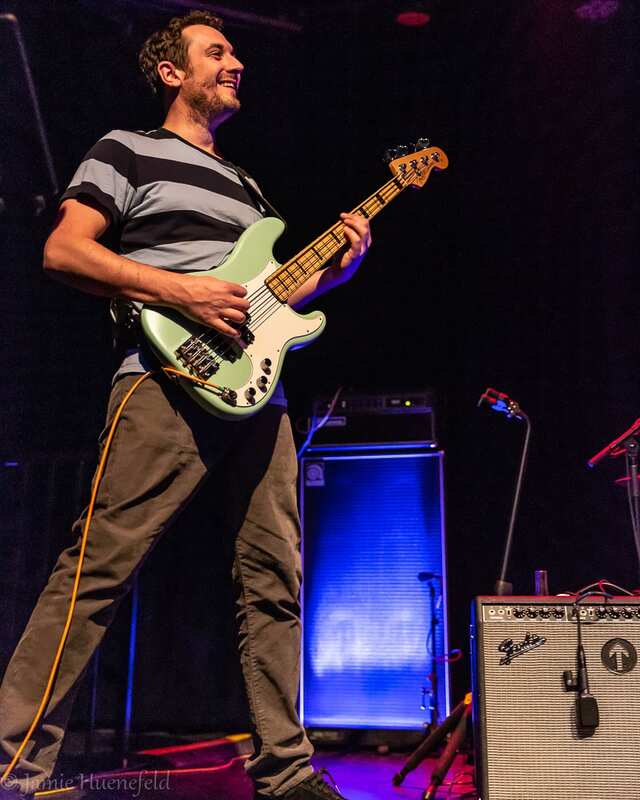 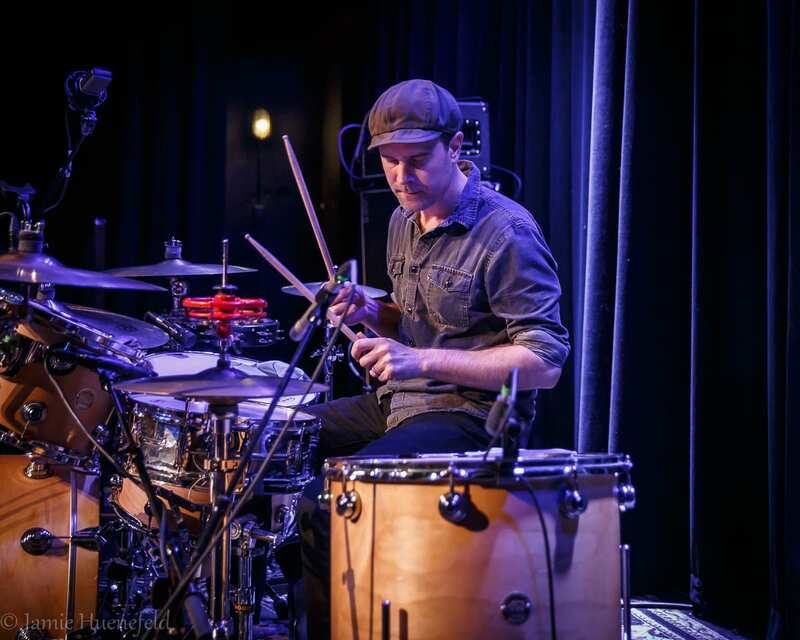 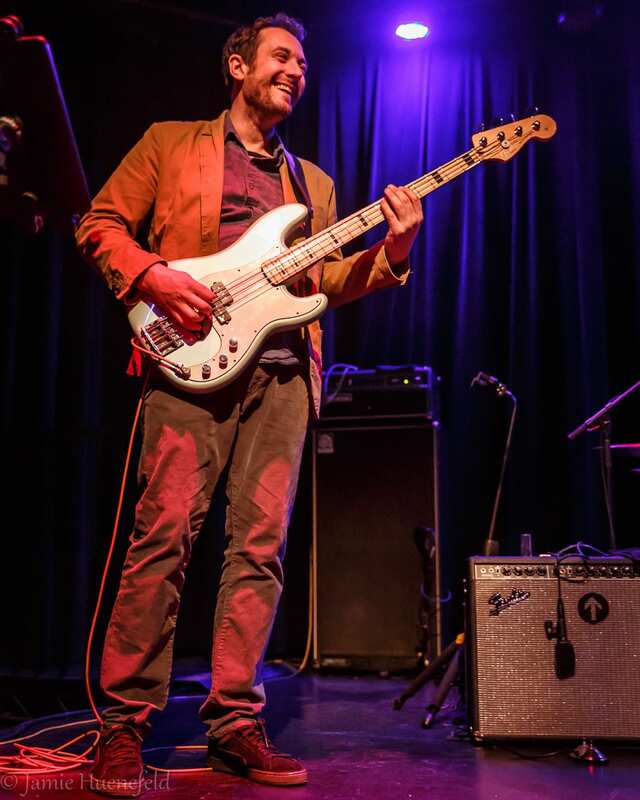 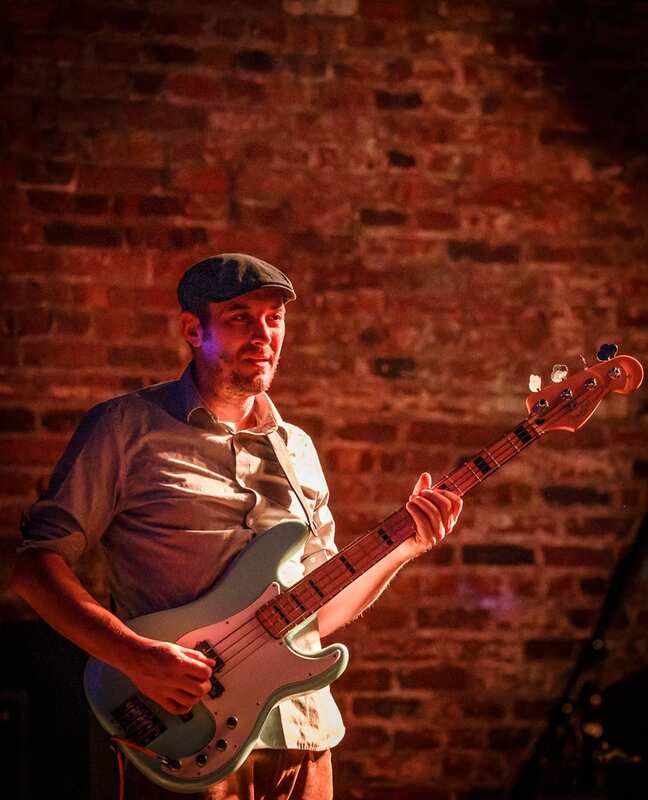 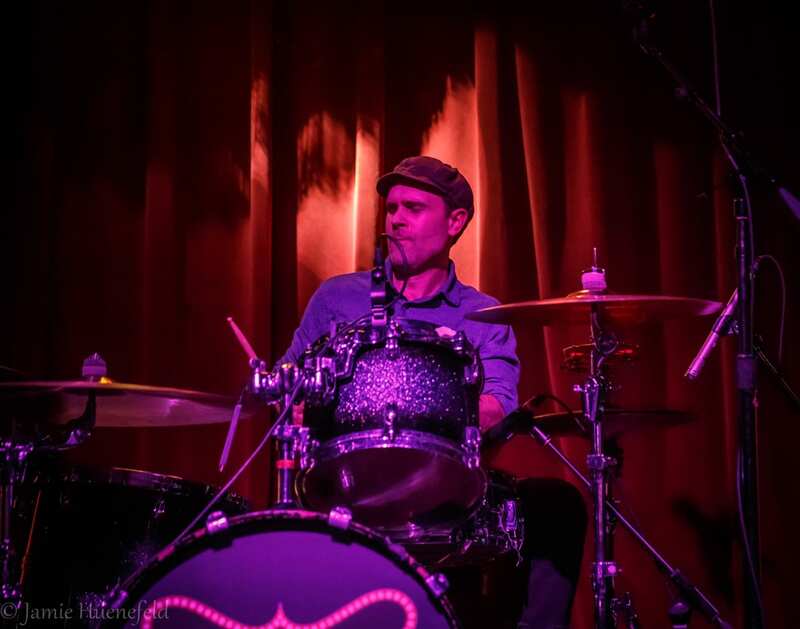 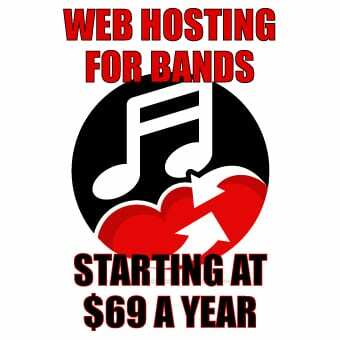 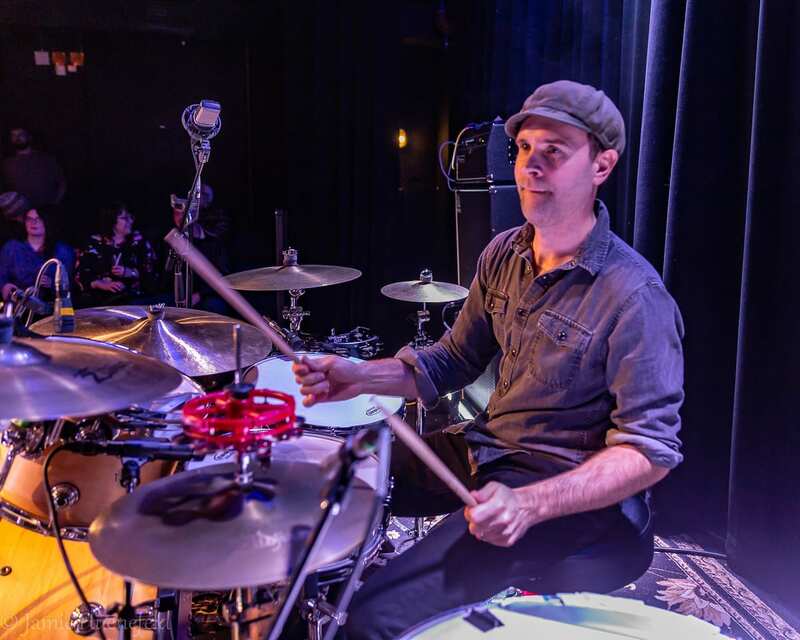 These shows notably mark the second time bass player Eric DiBerardino played with Tea Leaf Green in the New York City Metro region. 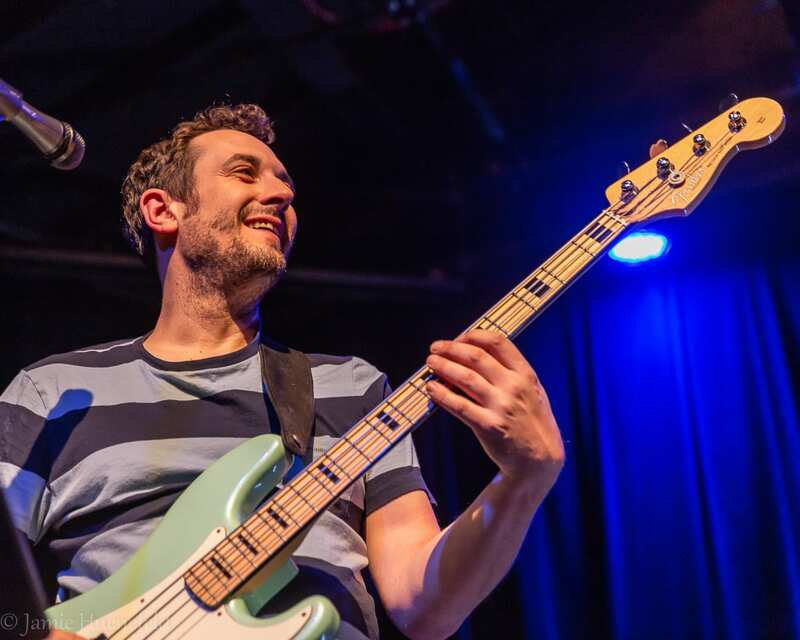 DiBerardino replaced bass superstar Reed Mathis in 2016. 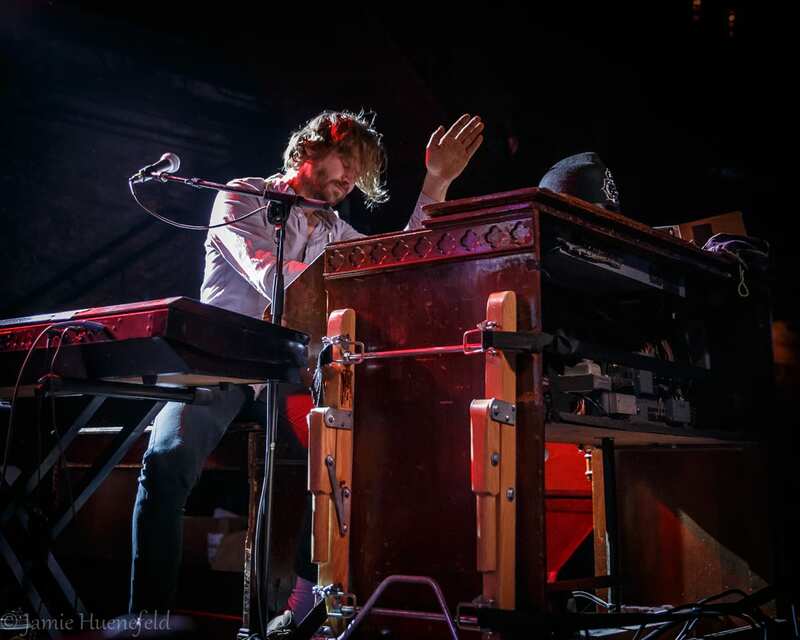 Fans are excited to be more acquainted with his style. 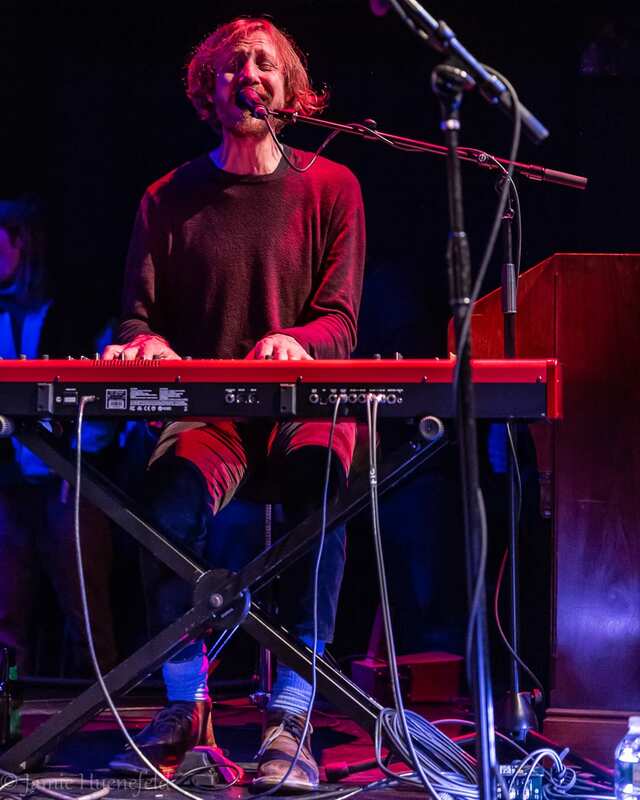 Described as a “coffee shop stage,” StageOne in Fairfield, CT offered fans a chance to see the band up close with great acoustics. 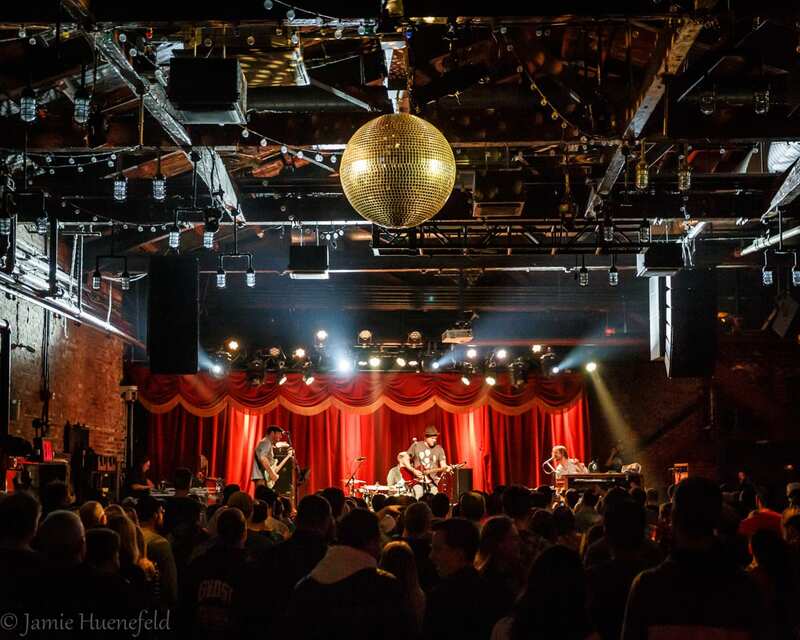 The venue has a 225 person capacity, with seating on both sides of the stage. 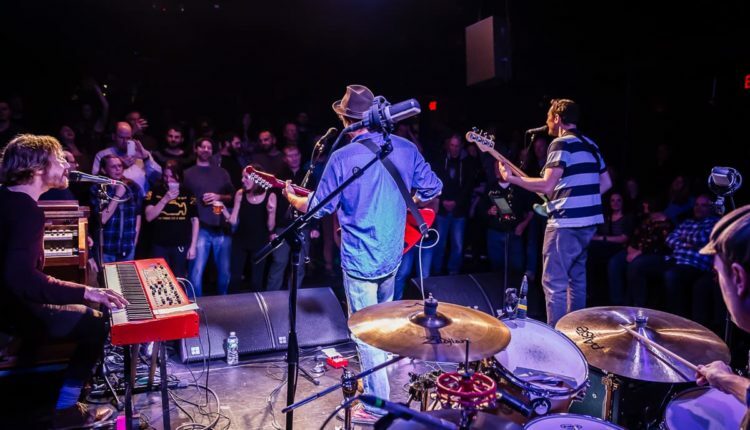 Tea Leaf Green rewarded those in attendance with a classic set of favorites. 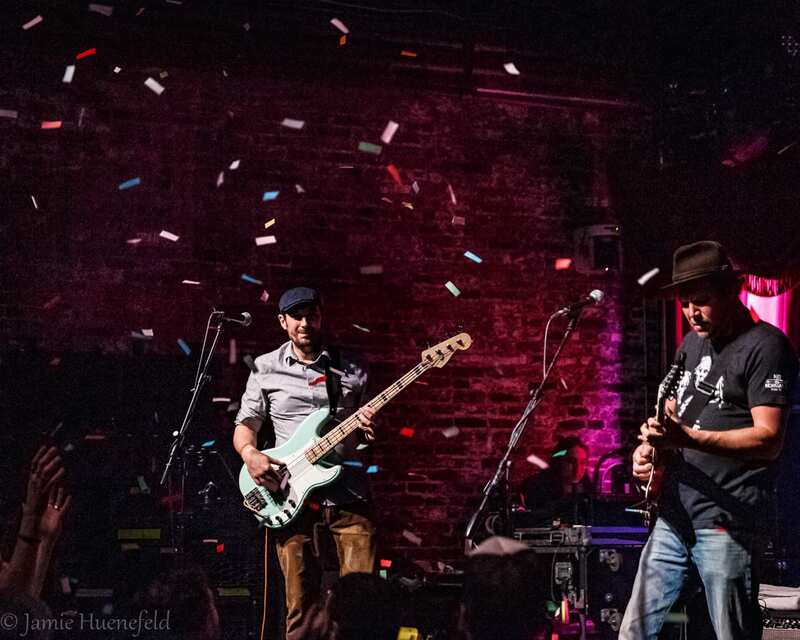 The set began with “5000 Acres” and “Ride Together,” which got the crowd on their feet and grooving. 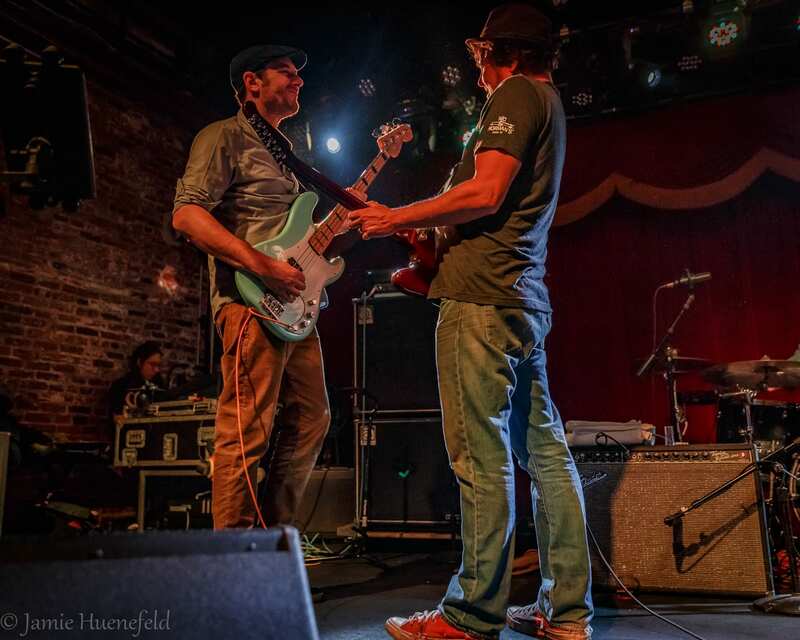 Next up were “Make a Connection,” “Innocence” and the electro-funk jam “Germinating Seed,” featuring notable guitar segments from guitarist Josh Clark. 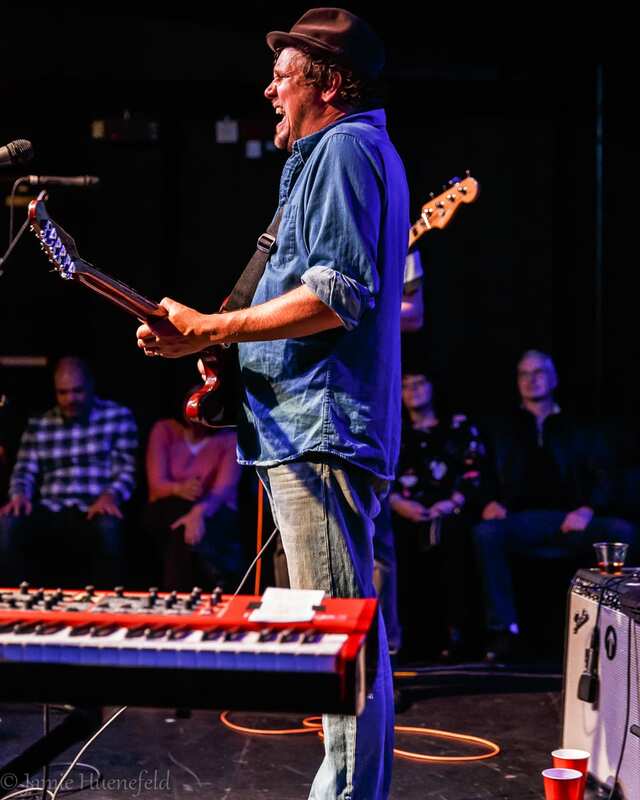 The set wrapped up on a high note with the perennial hit “If It Wasn’t For the Money,” featuring outstanding vocals and smooth solos by keyboardist Trevor Garrod. 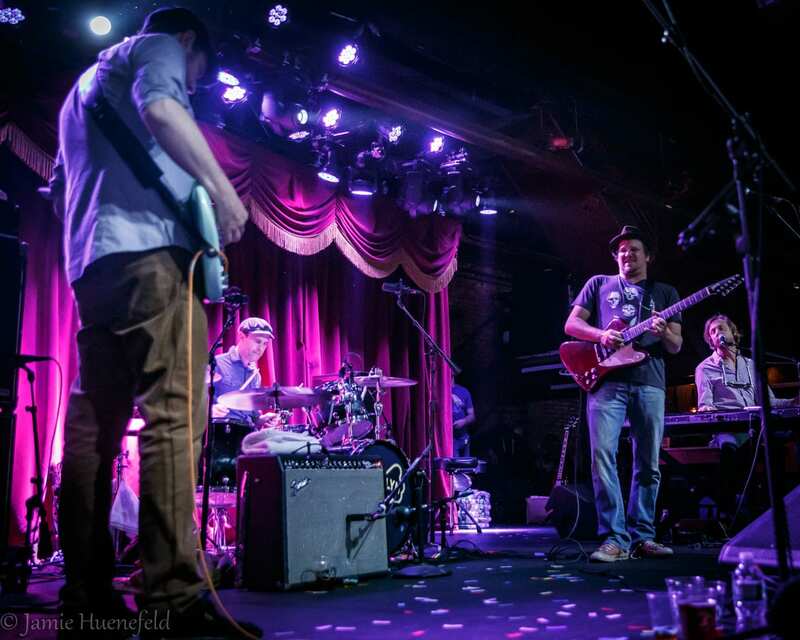 Set II picked up where Set I left off, starting with the funky “These Two Chairs“ and an electrified “Don’t Curse the Night.” The high energy “One Reason“ got the crowd ready for the first jam of the night, “Gasaholic.” Garrod’s soulful vocals and funky keyboard execution combined with Clark’s guitar improvisation made this an unforgettable rendition. 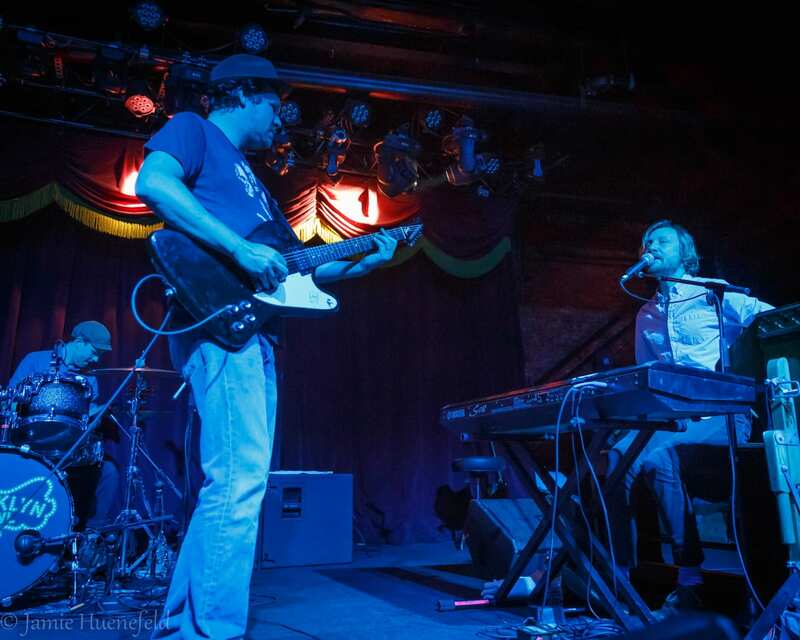 “All Of Your Cigarettes“ brought a few chill moments before Jordan Giangreco of The Breakfast joined Tea Leaf Green on stage, playing organ next to Garrod for the high energy favorites “Give Me One More Chance“ and “Incandescent Devil.” Musical nirvana between all five musicians was reached during the second jam of the night and closed the second set on a high note. 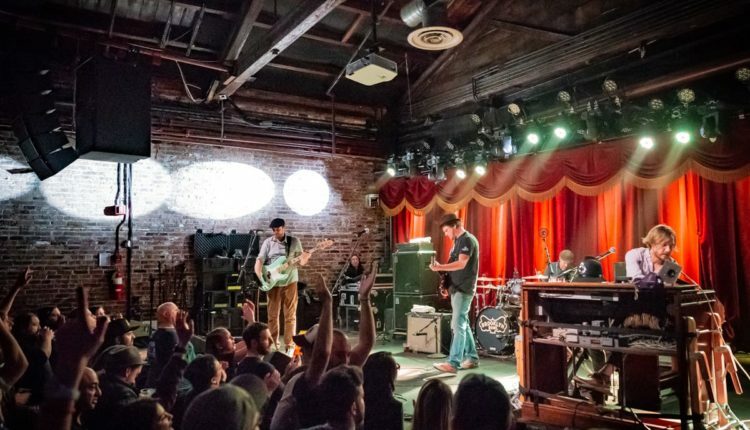 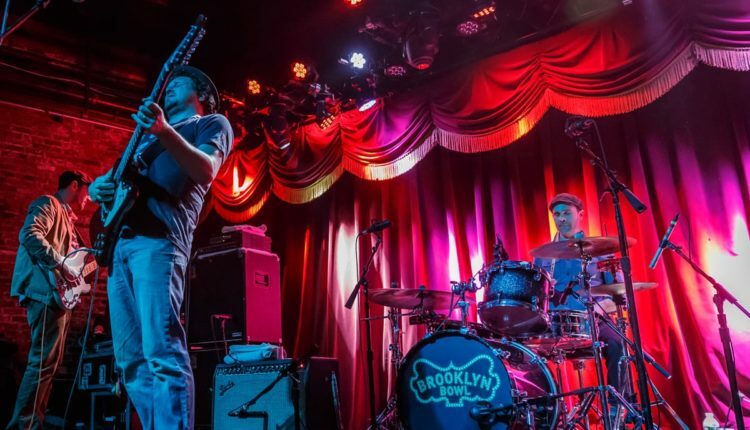 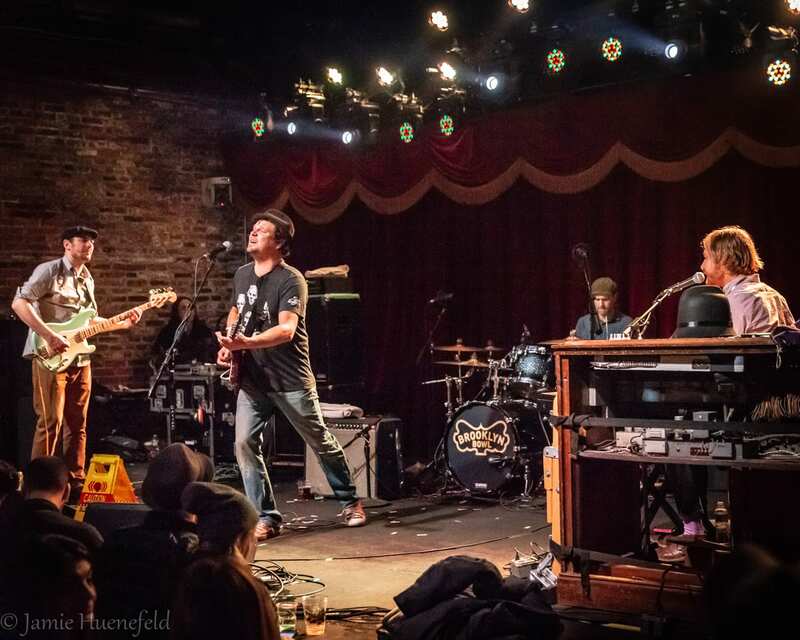 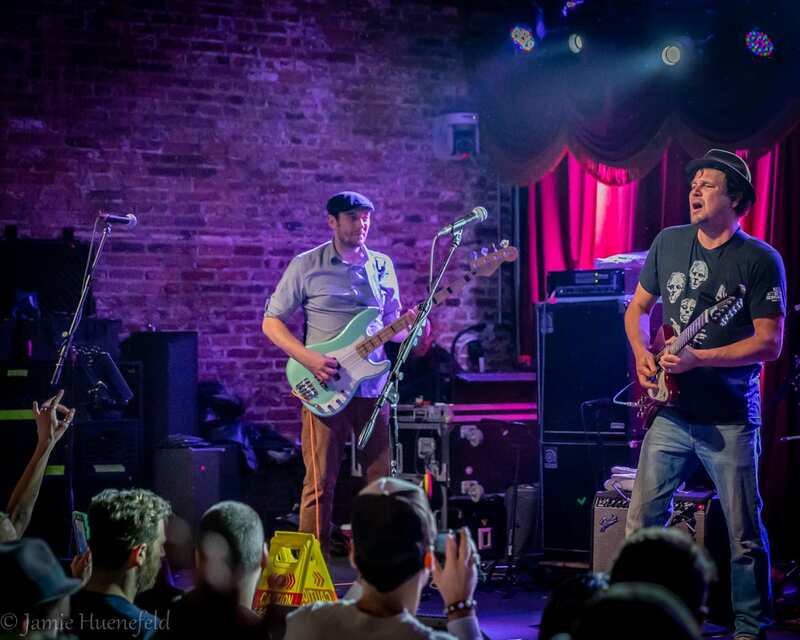 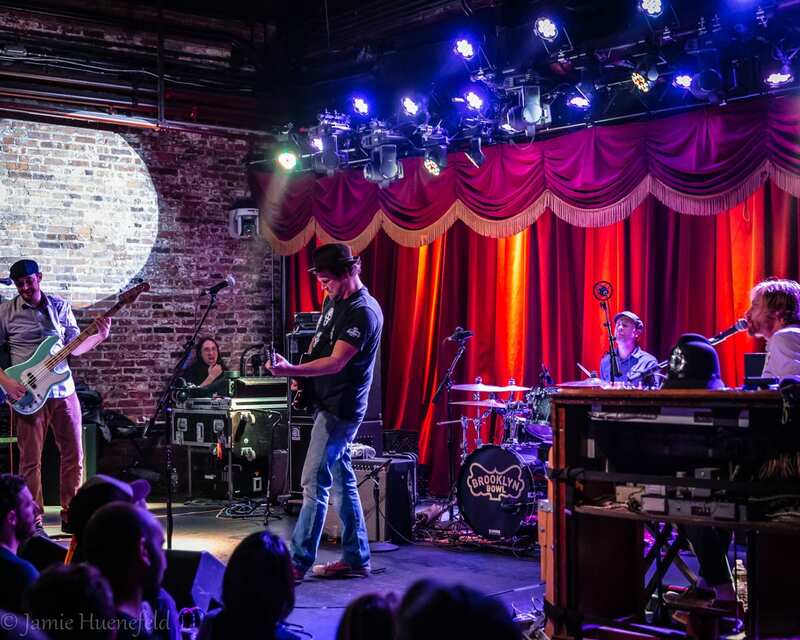 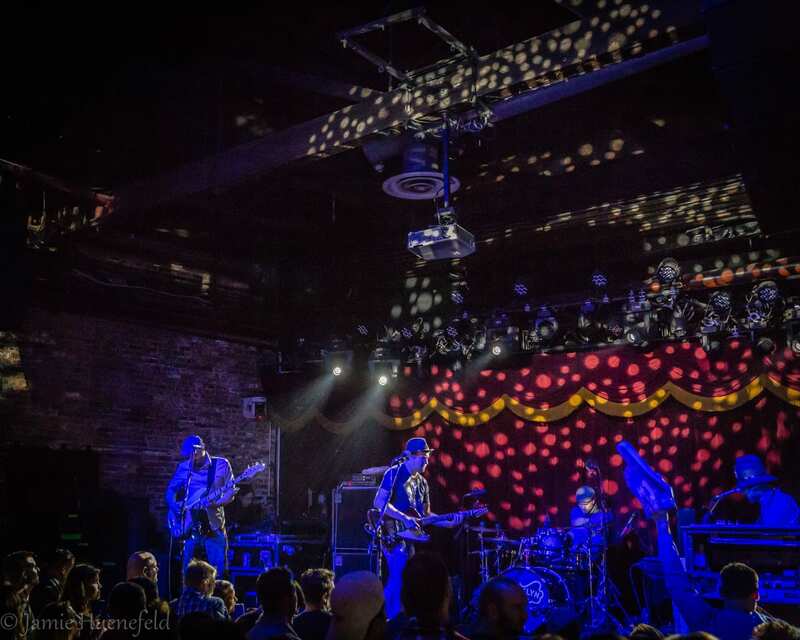 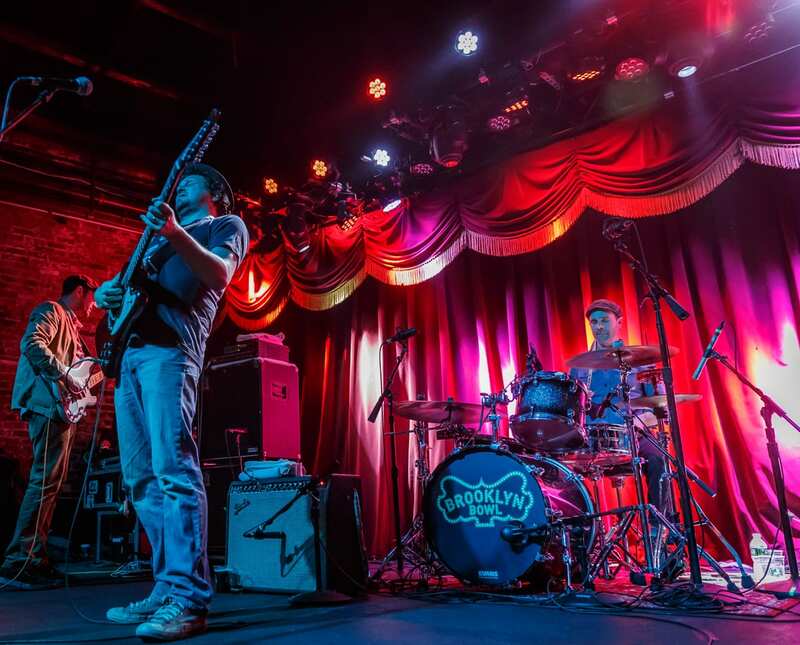 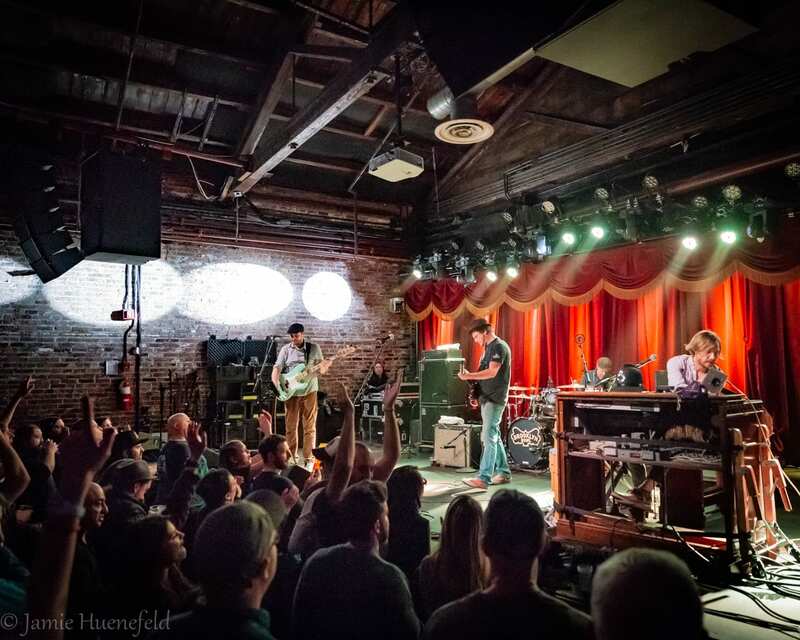 Tea Leaf Green has a rich history of high energy jamming at the Brooklyn Bowl, which features a bowling alley adjacent to the stage. 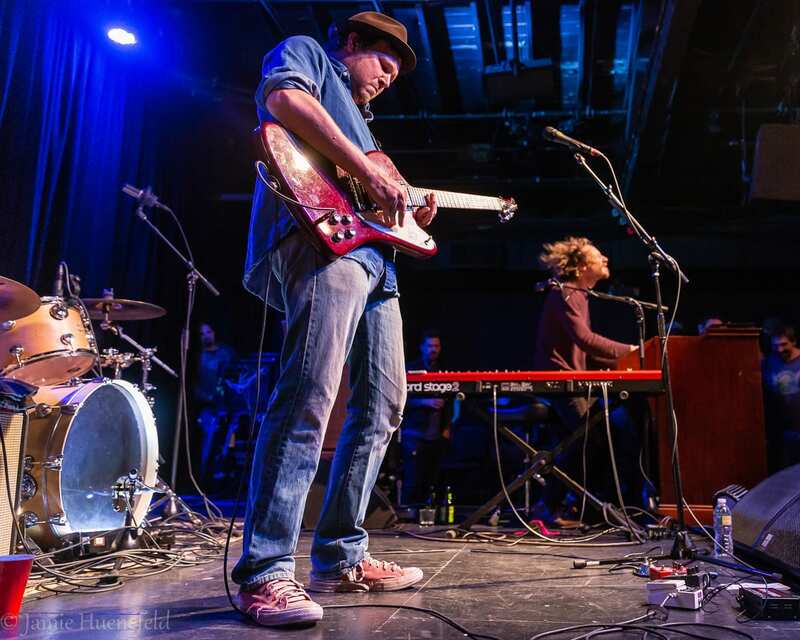 Gadadu and Greg Humphrey’s Electric Trio opened and got the crowd on their feet. 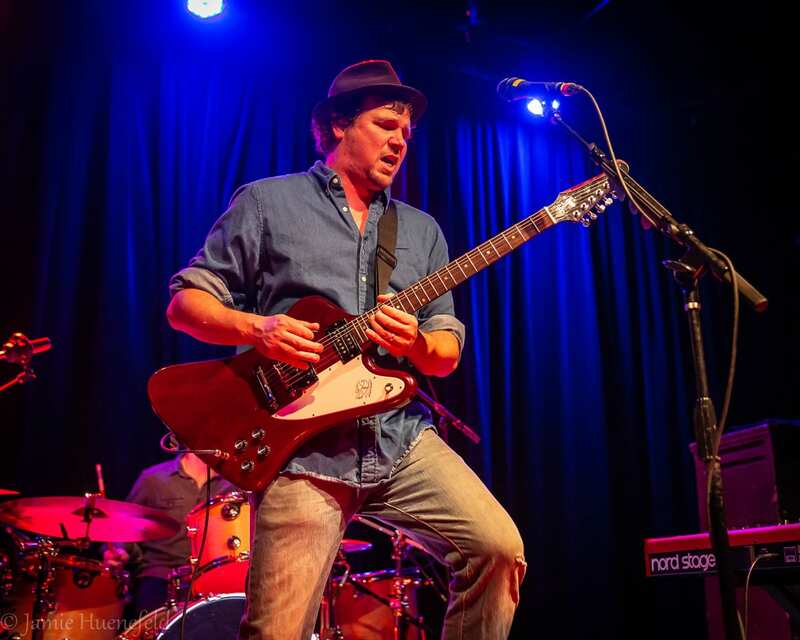 The band was ready to rock and roll from the very first song, “Devil’s Pay,” including eloquent vocals from Garrod and mind-numbing guitar solos by Clark. 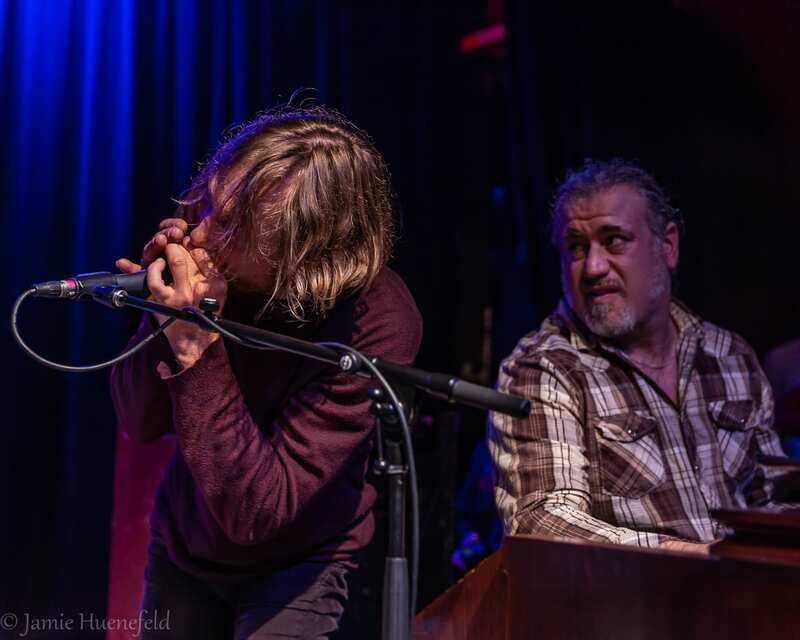 The harmonica-fueled “Let Us Go“ was the perfect precursor for the jam of the night, “Red Ribbons” > “Garden III.” Both are classic Tea Leaf Green songs, and “Garden” included a unique rock infused jam, which delighted longtime fans. 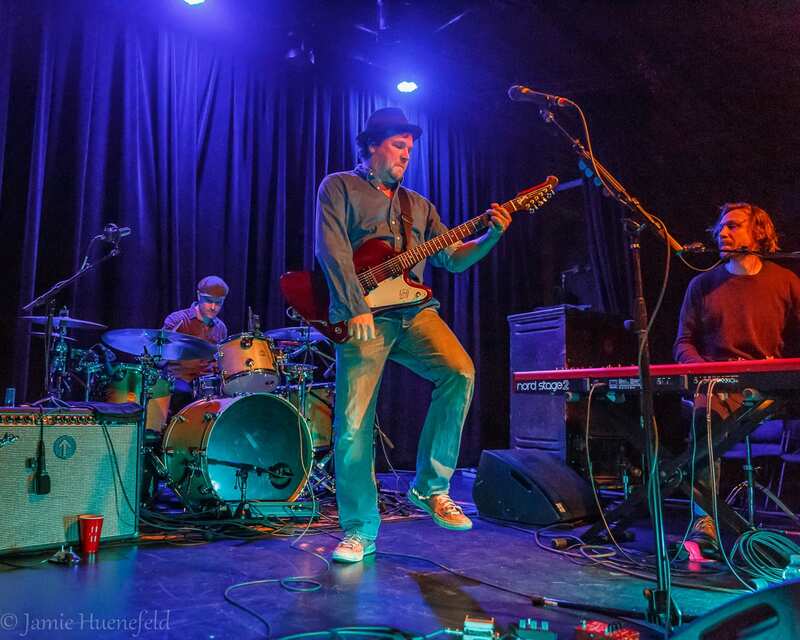 Garrod’s vocals and keyboard skills shined in “Been So Long“ and “Cops Took My Weed“ followed by a Clark electric guitar clinic in “Space Hero“ and “Hot Dog.” There is no question how talented this band is. 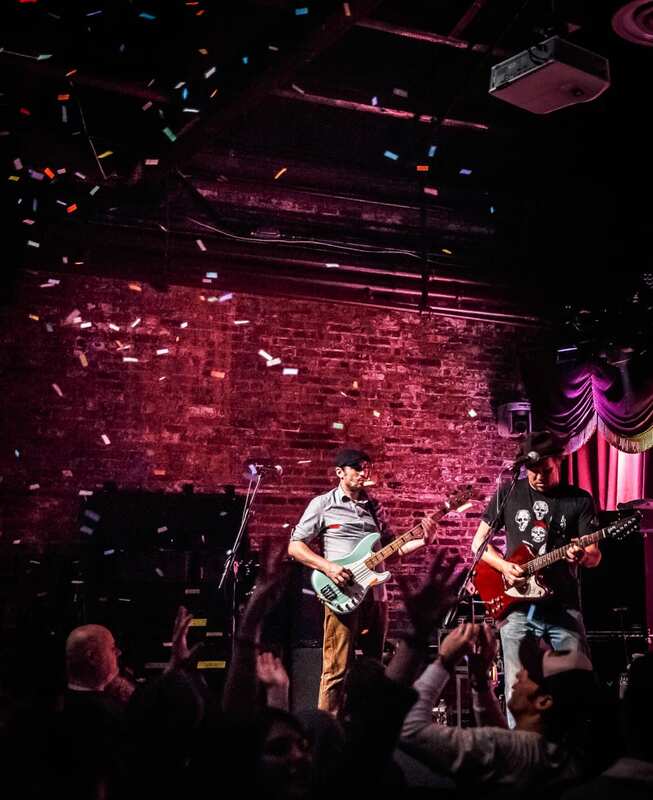 The soulful Garrod tune “Kali Yuga” closed out the set, and included celebration confetti from the audience. 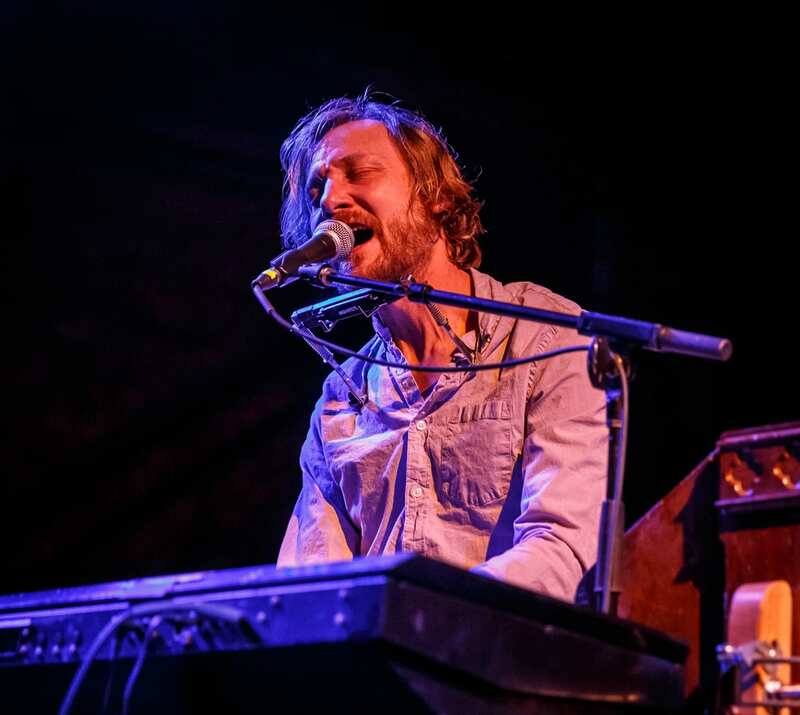 The encore began with “Carter Hotel,” an inspiring ballad sung by Clark. 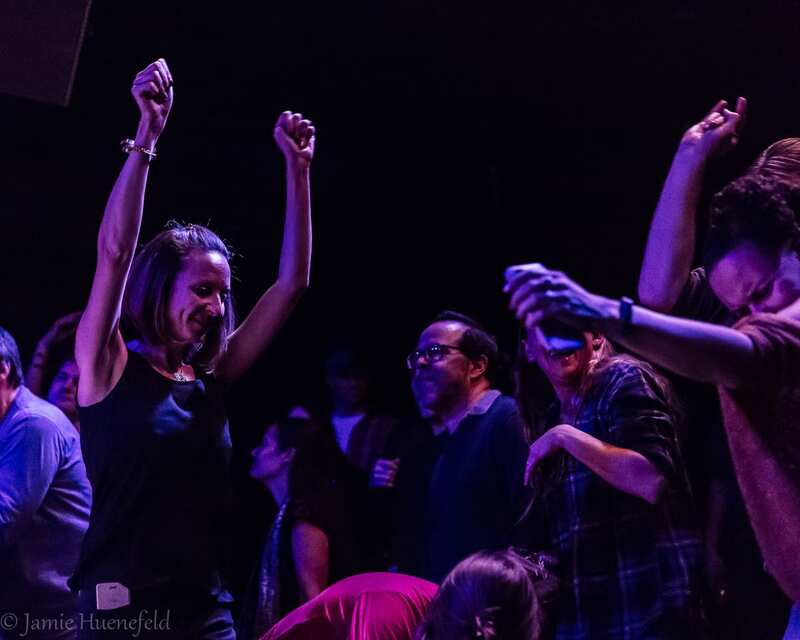 The show ended on a high note with the electric “Vote on Tuesday,” including more audience confetti to close this memorable night. 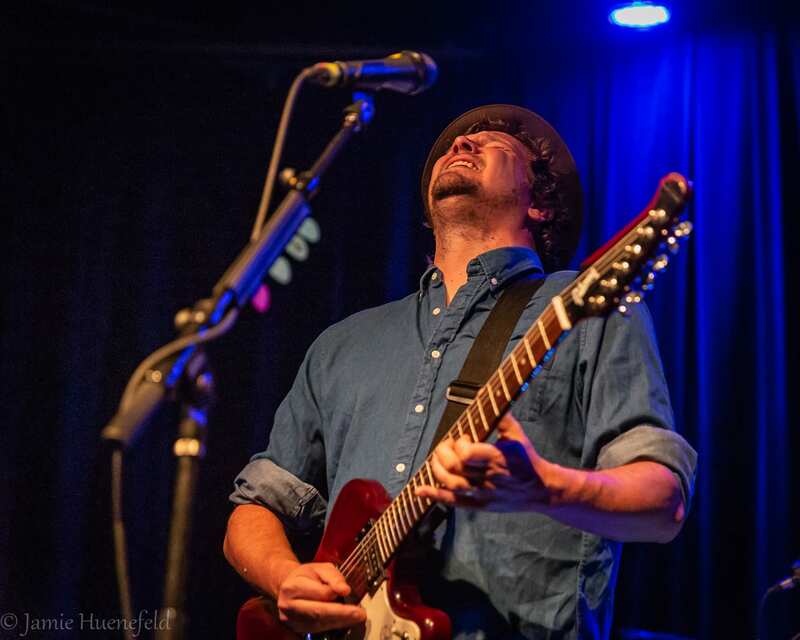 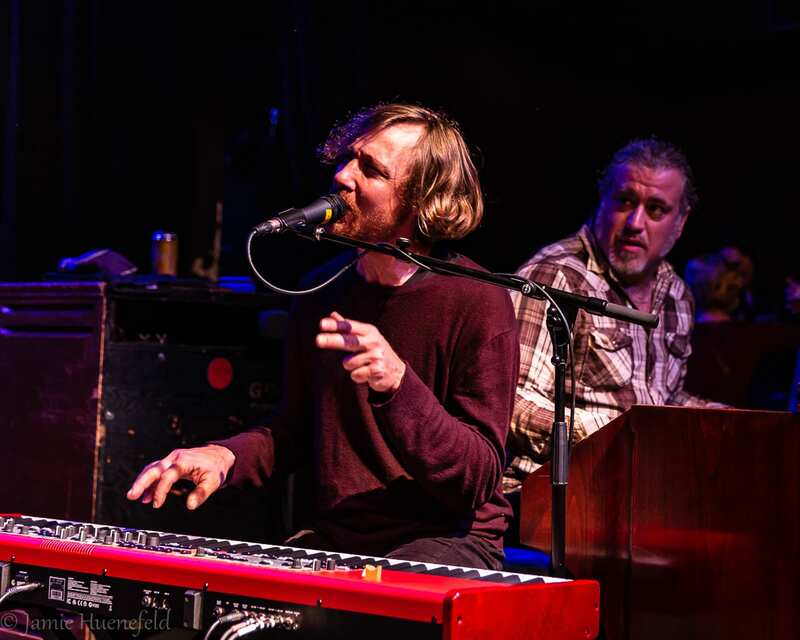 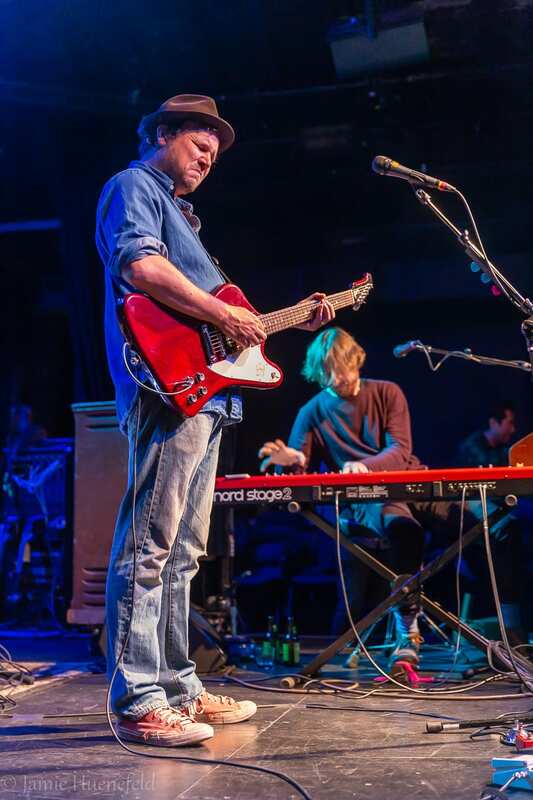 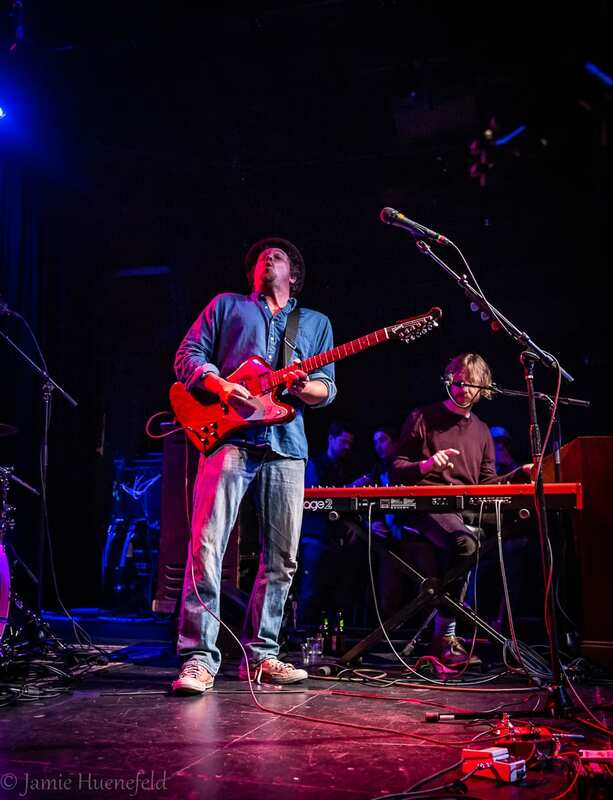 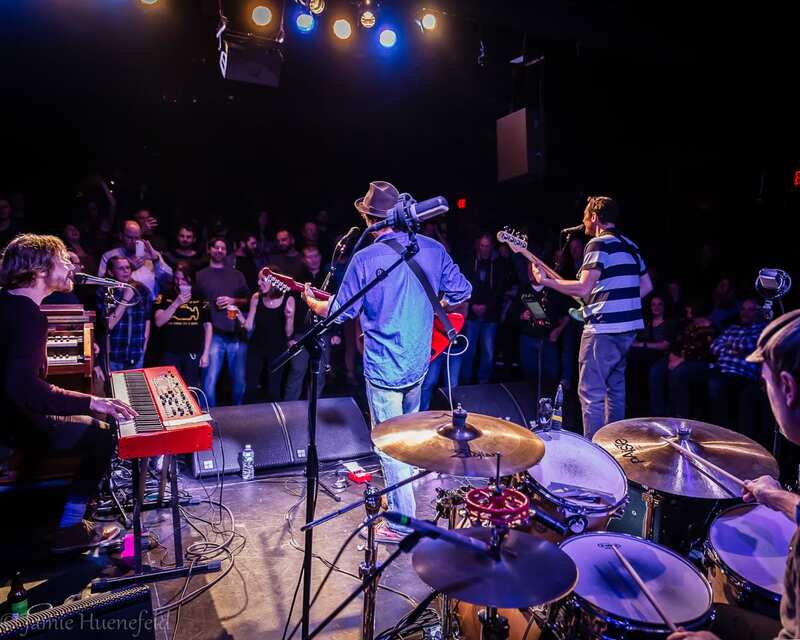 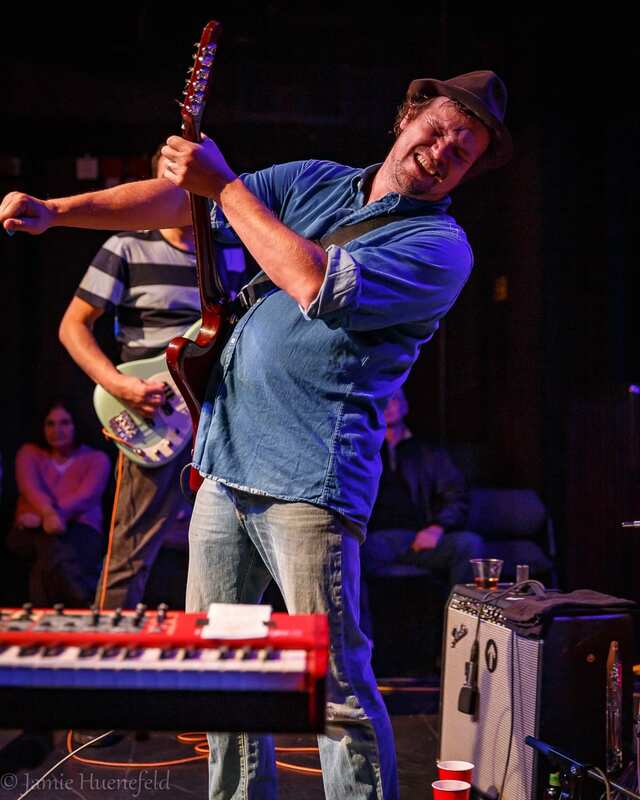 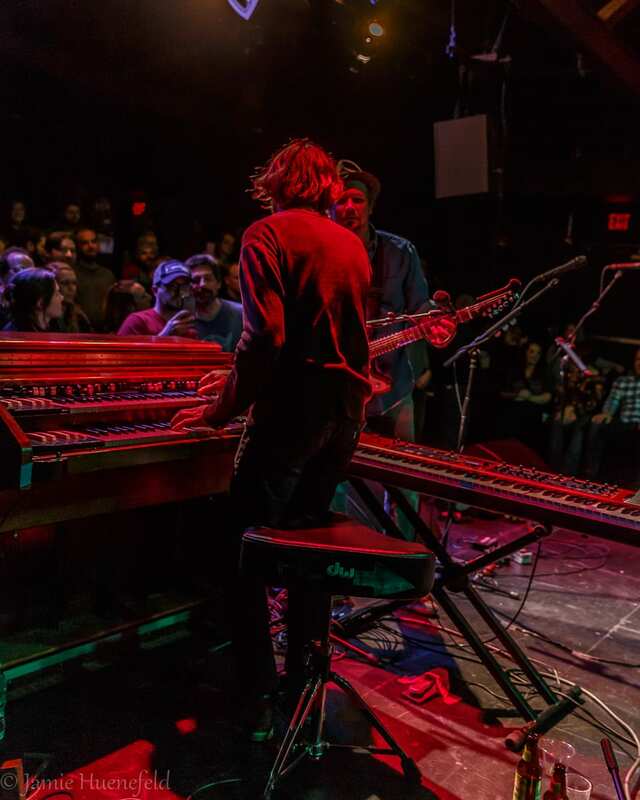 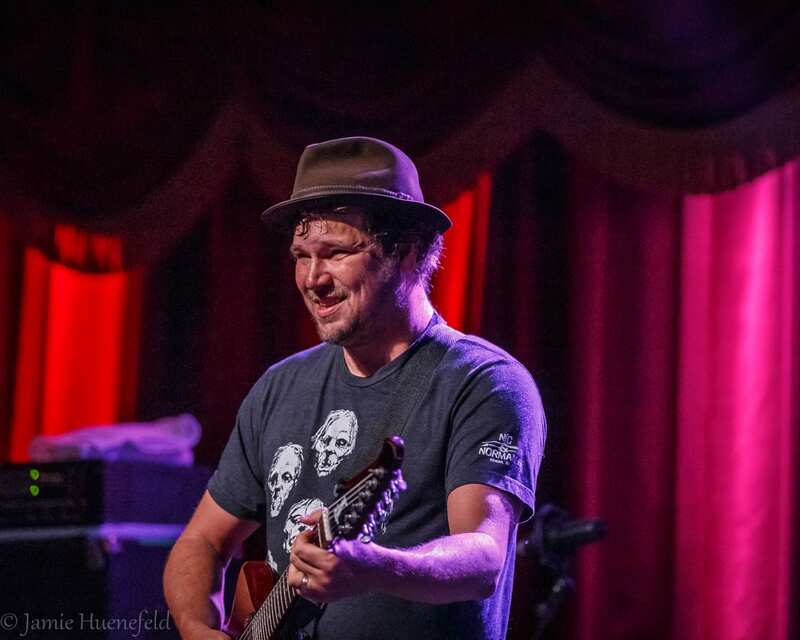 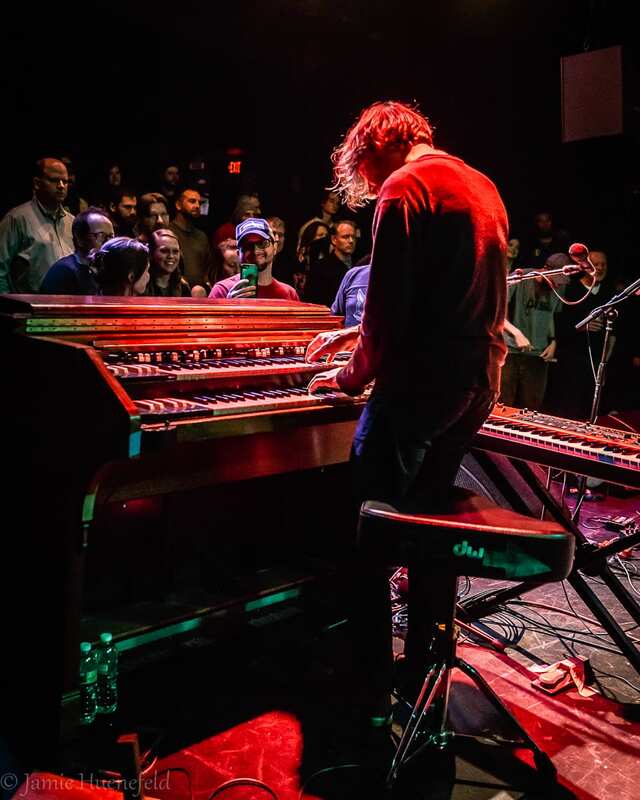 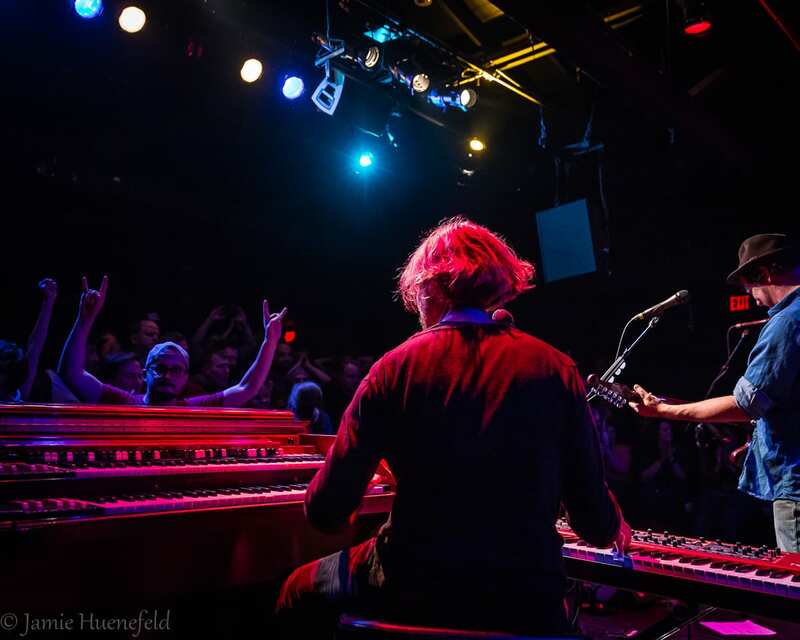 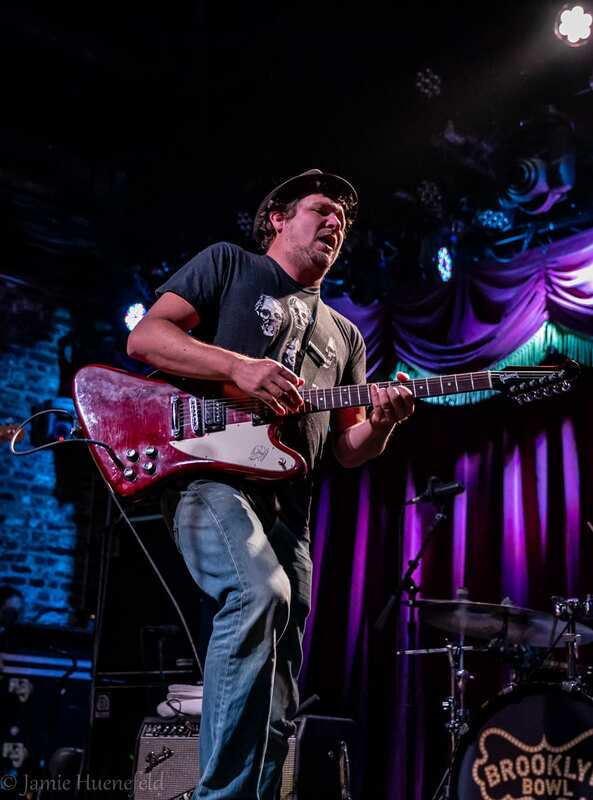 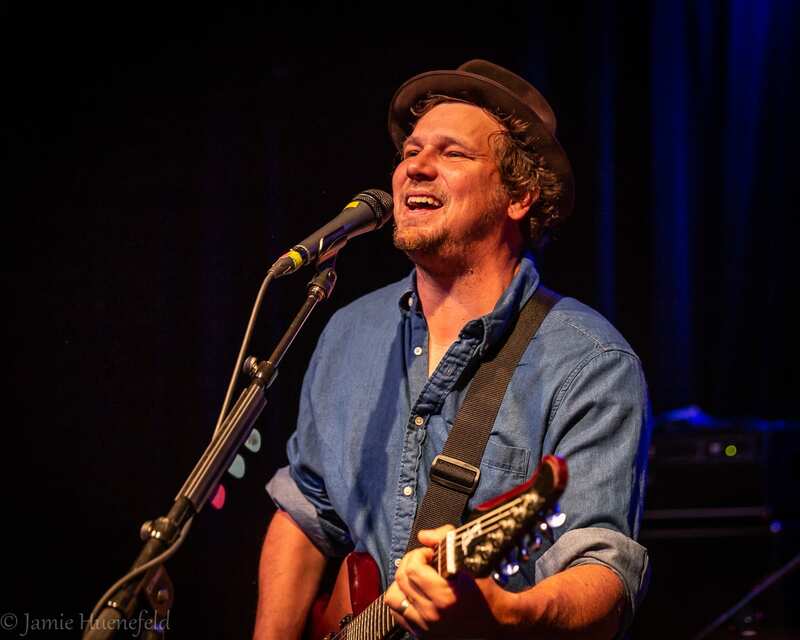 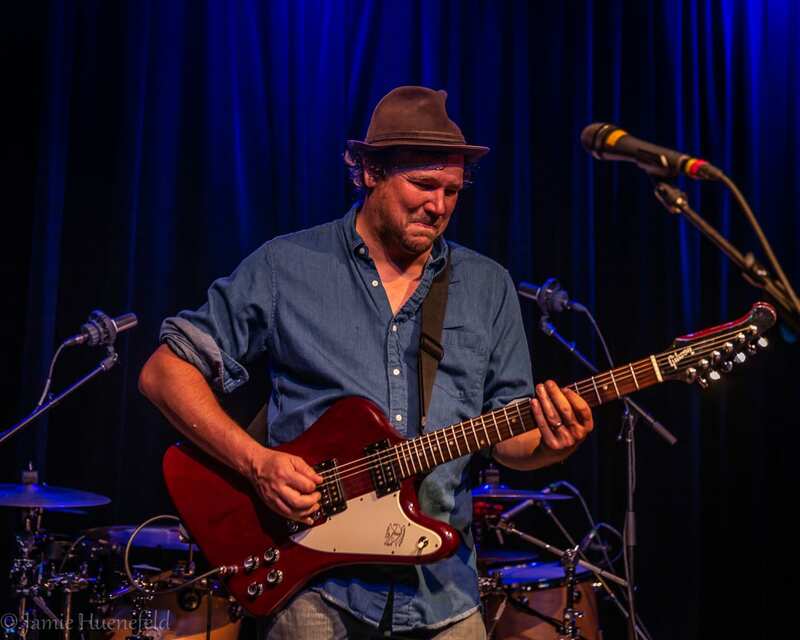 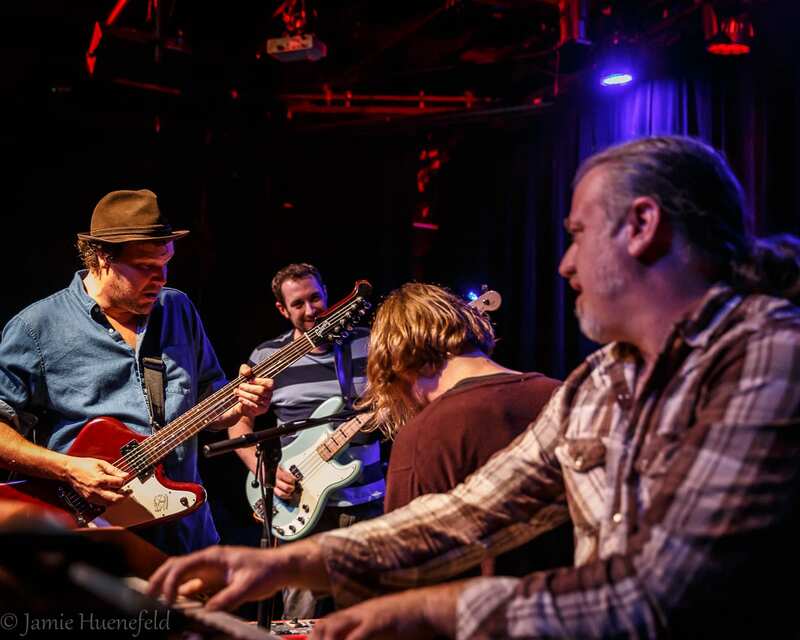 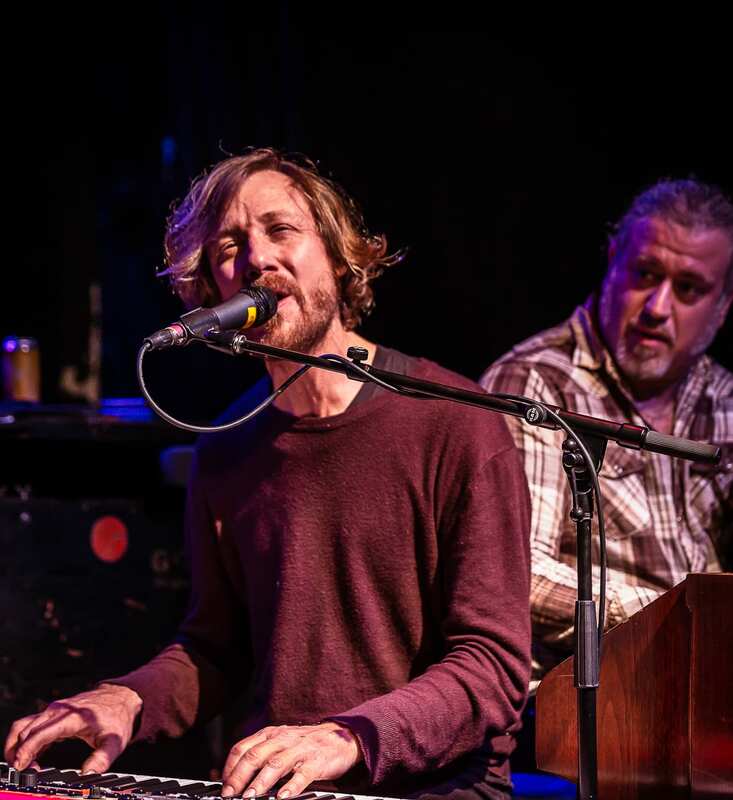 The Northeast was jubilant after two fantastic Tea Leaf Green shows and awaits their return for more soulful, funky improvisational rock and roll.